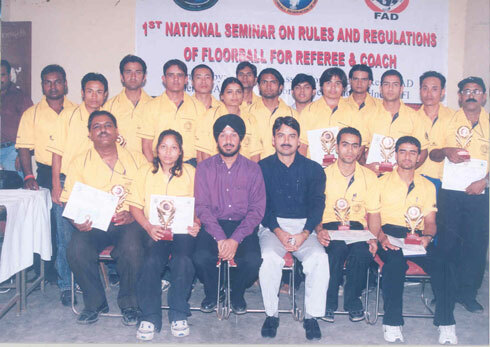 The 3rd National Workshop on Rules & Regulations of Floorball for Coaches held on dated. 15.07.2011 to 17.07.2011 at New Delhi organised by the Floorball Assocaition of Delhi-FAD under the auspices of Floorball Federation of India (FFI). the following below coaches has been qualiified for two years with the mentioned below Grade. Sonkamble Sachin Tamboli Khayum Dr. Bad Gajar Rakesh Singh . 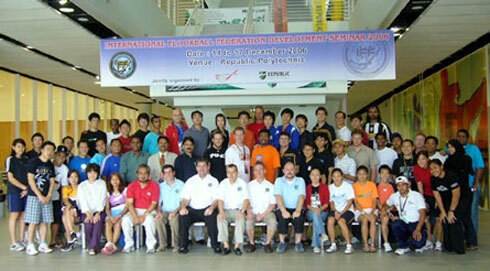 The FFI Technical Committee has set the above grades, which shows that Coaches & Referees is only authorised to perform as above level only, the Coaches and Referees are lisenced for two years, after completion of two years, coaches and referees has re-qualified themselves for further periods as set by the FFI & its technical commitee. The FFI has full rights to cancel any coaches & referees linsences any time if any coach & referee breaking Rules & Regulations of FFI & IFF.